One of the nagging issues I’ve had with Android Apps since they began showing up on Chromebooks is the version of Android we’ve been on since the Android Framework made it’s way to the ASUS Flip back in Chrome OS 53. If you didn’t know up to this point, it is possible to actually check the Android version running on your Chromebook if you like. As Android is not an emulation on Chromebooks and instead runs in its own container, there is a version just like you’d find on a phone. Simply go to Settings > Google Play Store (Beta) > Manage your Android preferences and you’ll be met with a very familiar settings interface. If you check in the ‘About Device’ section, you can see your Android version. To be fair, the job of running apps in general isn’t any easier or more efficiently done on 7.1. Many of the issues and bugs that still persist in the Play Store incarnation aren’t because of Android 6.0.1. Switching to 7.1 won’t mend those problems. What 7.1 does bring, however, is a native ability for resized windows and side-by-side running apps. When we are talking about a desktop implementation of apps, those two things are quite important. Resizing apps was a new feature in Android 7.0. The ability to run apps side-by-side on your phone is now a thing and works well. This function brought with it not only the ability for apps to change size and shape, but also gave developers a real reason to think about responsive UI in their apps. Not all apps work out of the box with this, so the OS’s ability to handle it is not a prerequisite to it functioning well. But, now that the option is there, more developers will have their apps working at multiple screen sizes as time goes on. As that functionality increases, so will the flexibility of windowed apps running in Chrome OS. Perhaps more importantly, however, is true multitasking. In Android, before 7.0, apps would pause most of their function when put in the background. Sure, certain things would continue to work in the background, but overall, the apps pause to conserve battery and performance. On a device like a phone, you’d never really consider this. Phones are geared to one task at a time. Open the app, do the task, switch to another. Desktops don’t work that way. On a laptop or desktop, we stack windows on top of one another and see multiple things at all times. We expect those things all continue operating even if our focus shifts away. Right now, that isn’t possible with Android Apps on Chromebooks. When you click out of the window an app is running in, the app pauses until you return. As I said before, that isn’t really noticeable on a phone. On a laptop, though? It is very apparent. We’ve been on the lookout for anything pointing to 7.0+ being utilized in Chrome OS and, thus far, we’d come up empty apart from a reference to 7.1 in a commit recently. That wasn’t proof of arrival and gave us no timeline or real course of action. It was simply a mention. Today, we can deliver some firm proof along with a timeline. FYI: We will update cts to 7.1 in January via updating the tarball. First, if you are not aware of what CTS is (I wasn’t before researching this), it is the Android Compatibility Test Suite. As its name implies, the CTS is made to test hardware with specific versions of Android. In this instance, we are talking about Chromebooks. So, the testing suite that developers are using to tweak the Android experience on Chromebooks will be updated to the 7.1 version in January. While this doesn’t give us an exact date, it likely means that testing on 7.1 will begin in January for roll out at the end of the month. This lines up with when we expect Android integration to come out of Beta status and begin full roll out on many devices. 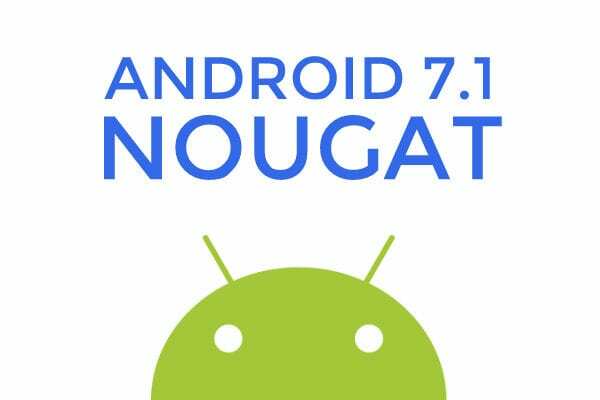 As we are seeing the Play Store infiltrate more and more devices every day, we are seriously excited to see some confirmation of the coming 7.1 update happening sooner rather than later. With all the convertible, stylus-equipped devices on the horizon, it looks like the next few months are going to be REALLY interesting. Stay tuned.